Experts and First Nation community members say better education for visitors is key. 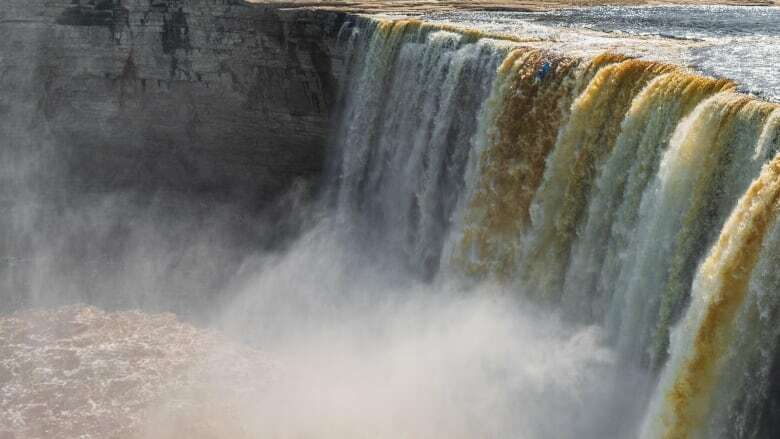 When five kayakers went over Alexandra Falls, near Hay River, the territorial government was quick to condemn the dangerous stunt — but others say it wasn't just dangerous, it was disrespectful. For Doug Lamalice, of the Katlodeeche First Nation, running Alexandra Falls is extremely disrespectful to the traditional users of the land. "That was our church. When you are passing through there, it's a time of prayer, a time of meditation," he said. 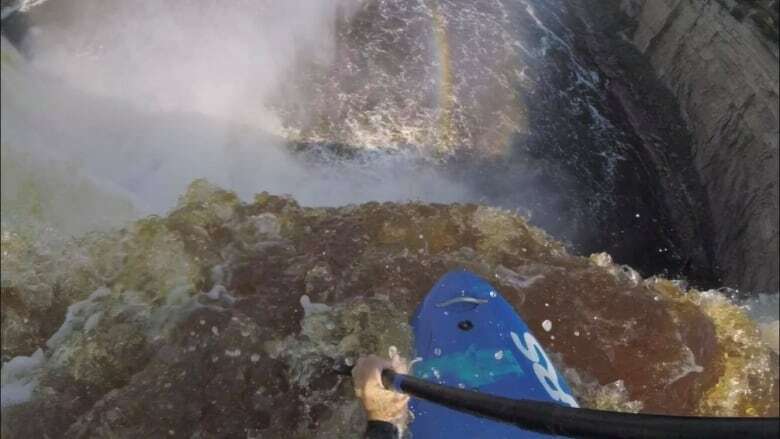 Five people kayaked over the waterfalls earlier this month, resulting in one person getting a concussion and another with a broken leg. Alexandra Falls is the third tallest waterfall in the N.W.T. at 33.5 metres. It took first responders three hours to rescue the two injured kayakers. According to Lamalice, Alexandra Falls is a venerated site to the Dene First Nations. It was a place of teaching and the site of burials. "It's a major sacred place. So when something like kayakers go over the falls, it goes totally against who we are as Dene people and how we were raised, and how close we are with the land," he said. As more and more tourists come to the N.W.T., instances of disrespect — whether on purpose or not — are likely to become more common. Yet for many tourists, some who may struggle with the English language, navigating through cultural differences could prove difficult. Allison Holmes is a research assistant at Cathexis Consulting in Toronto, and she's published research on respectful visitor behaviour in the traditional lands of the Lutsel K'e Dene. She travelled to Lutsel K'e between 2013 and 2015 to collect stories from community members to better understand how visitors should act in the territory. In consultation with the First Nation, they created a code of conduct for tourists. "Maybe one of the biggest concerns that came across to me is that visitors are entering an ancestral homeland without knocking, so to speak," she said. "Visitors may be flying into an area of the territory, away from the community itself, without notifying anyone of their presence." She said there were also concerns with visitors leaving garbage, bringing alcohol into the territory, and speaking disrespectfully about nature. 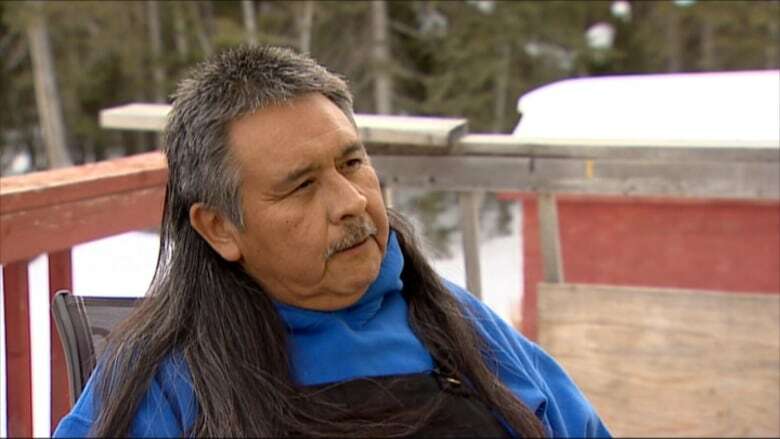 As negotiations continue over the establishment of the Thaidene Nene National Park Reserve, in the traditional territory of the Lutsel K'e Dene, Holmes said concerns regarding respectful tourists have likely intensified. "If there are already issues with disrespectful visitor behaviour, what will that look like with a significant increase in visitors?" she asked. Holmes said it's also up to the tourist to educate themselves before they go. "I think the responsibility really does fall on the visitor to make the effort to learn about the local peoples and cultures because you're a guest in someone's home," she said. From her research, she recommends confirming whose traditional territory you are travelling to, making phone calls to local band offices to ask what their expectations of you are, and making sure to visit communities within the territory. Other communities have engaged in similar education-based initiatives. Lamalice, who was the park attendant responsible for Alexandra Falls, Louise Falls, and Escarpment Creek from 2012 to 2015, said the community was very involved in the creation of information billboards that pepper the area and tell stories of the Dene. Sharing the importance of the falls is the way to encourage respect among visitors, Lamalice believes. During his time as camp attendant, he said there were a few partiers, but he would "take the time to talk about the respect, behaviour, attitudes" and expectations with them. "All of a sudden it's not just someone telling you you can't do this, but they're giving you a story behind it."